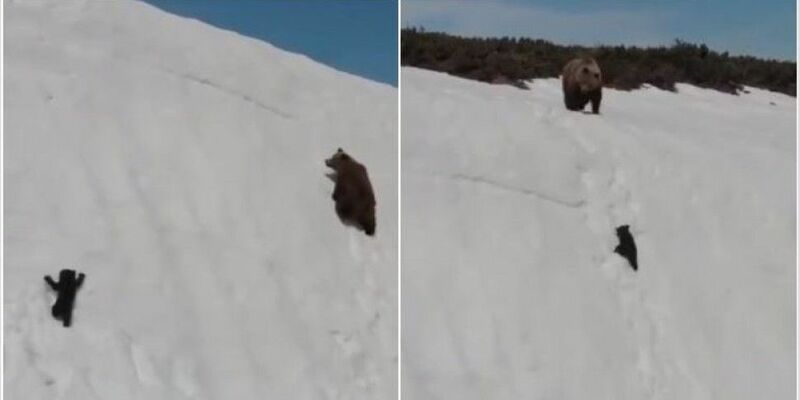 A wildlife video of a bear mum and cub traversing a mountainside hundreds of feet up has captured the imagination of millions of Twitter users. 3. Hiding your eyes behind knitted hands. And finally punching the air and screaming! This is guaranteed to get you rooting for this little guy.